Thanks! Please remember to check spam/promotions folder if you don’t receive an email. It's been more than eight months since we've released any music. That's because we spent the better half of this past winter cooped up in our rehearsal space writing, rehearsing, and demoing songs for our first, full-length record, Middle Man. We teamed up with Ed Brooks of Resonant Mastering Studio (Fleet Foxes, Deathcab For Cutie) and began a month of intense pre-production under the direction of Ed and our own Luke Dumke in January of 2018. After cutting numerous demos and reworking songs, we eventually had a pretty good idea of what songs were going to make the cut and headed into Studio Litho to start tracking with engineer Floyd Reitsma (Courtney Marie Andrews, Noah Gundersen). We spent four days at Studio Litho, laying down basic live tracks, as well as instrumental and vocal overdubs, then fine tuned the record over the course of the next month and a half at Pinehill Studios with Luke Dumke. Once all the tracking was complete, we then headed back into Studio Litho for three days of mixing with Floyd Reitsma, who was able to artfully piece everything together. From there, we moved on to mastering with Rachel Field of Resonant Mastering Studio, who confidently took our final mixes to the next level and did an absolutely stunning job of polishing up Floyd's mixes. It's been an absolute pleasure to work with everyone involved in helping us make this record, and we're all extremely proud of the work we've done and what we've created. Visit our pre-order campaign for more details and access to the record. 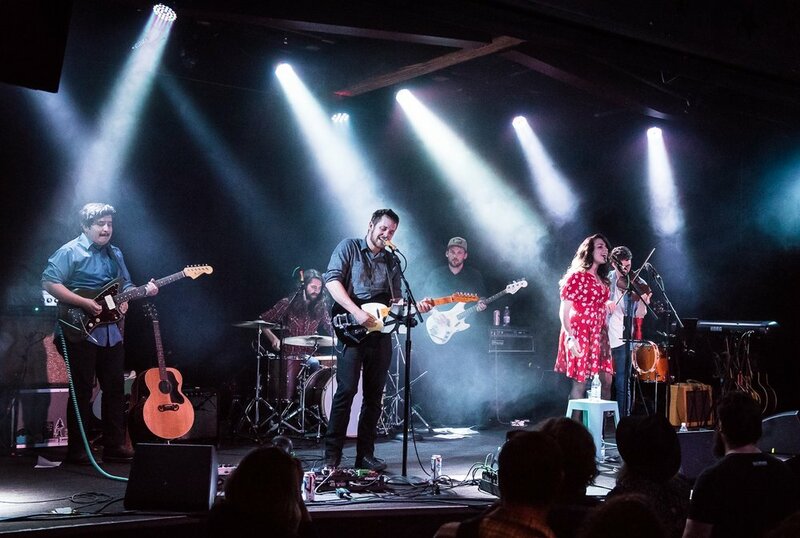 “It sounds like sand blowing through canyon walls,” Zane said of Seattle based Indie-Americana band, Old Coast, “and his voice sounds like dusk,” he laughed, regarding singer Asher Deaver. Originally from Tucson, AZ, Asher has held on to his desert roots after relocating to Seattle for medical reasons in 2011. A lover of old time country and folk music, Asher began playing solo shows around the city and soon became a well respected songwriter in the Seattle music scene. He started collaborating with long time friend and bass player Alex Stoops (Courtney Marie Andrews, Dismal Tide) and when an old band mate, fiddle player Jon Berry (Pioneers of Primetime TV, Horsefinger), relocated from Las Cruces, NM, they began to flesh out a fuller and more polished sound. 2016 found drummer, Luke Dumke, and vocalist, Nik Singleton, (both of Decade of the Dead Arcade) also moving north from Las Cruces. After several recommendations from mutual friends, Asher, Luke, and Nik were introduced and began collaborating quickly bringing Alex and Jon into the mix. Shortly after, guitarist Manny Rodriguez (also of Decade of the Dead Arcade) followed from New Mexico to round out their sound. Between Luke, Manny and Nik's indie-rock roots and Asher, Alex, and Jon's 60's folk vibe, Old Coast morphed into a unique sound, both timeless yet new. They began playing shows with both local and national acts, receiving positive reviews. Several months of writing together brought on the release of their first single, “Walls,” followed by a second single in Fall of 2017; "Move On." 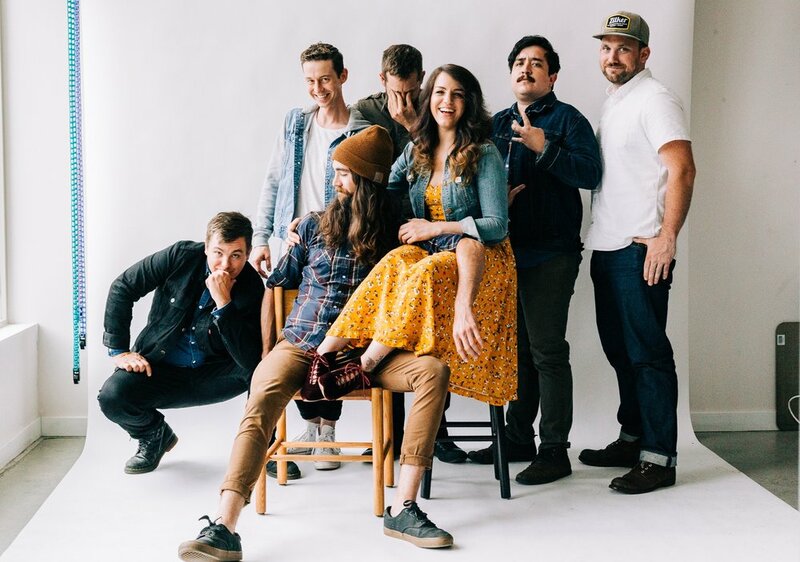 Their diverse mix of whiskey drinking desert songs and hard working old time harmonies create a unique brand of Pacific Northwest Americana. After a year of quickly building up a Seattle fan-base, playing PNW venues and festivals (Tractor Tavern, The Crocodile, Chinook Fest, and Yakima Folklife Festival) Old Coast began preproduction for their first full length record with producer, Ed Brooks, of Resonant Mastering Studio (Fleet Foxes, Death Cab For Cutie). The group then headed into Studio Litho to work with engineer Floyd Reitsma (Courtney Andrews, Noah Gundersen) before wrapping up production at Pinehill Studios and returning to Studio Litho for mixing with Floyd. The debut record is set for a Fall 2018 release.